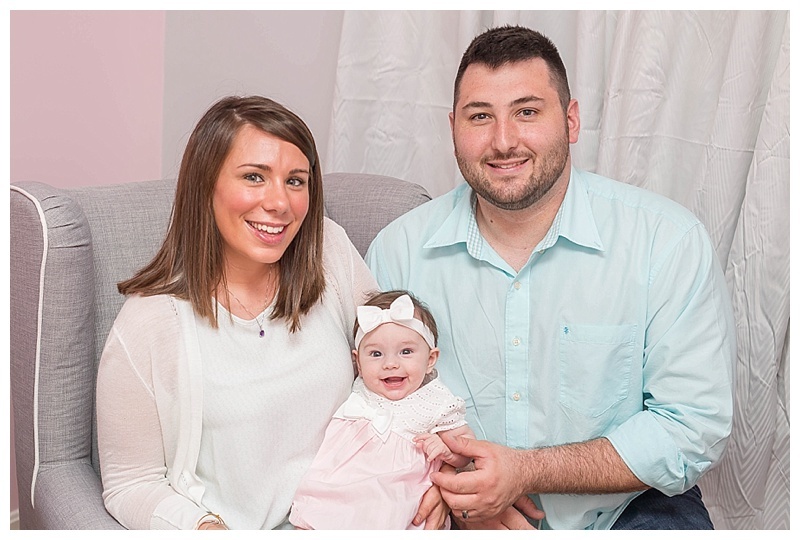 As an expecting mother myself, I was so excited to meet Amanda, Derek, and their precious baby girl Charlotte for her three month session. As we were ironing out details for the session it was funny to learn that we live in the same neighborhood, it was by far one of my favorite commutes to date, lol! Charlotte was such a well behaved and happy baby, she most definitely is a little model at heart! She had no problem smiling for the camera and keeping us all laughing at how adorable she is! 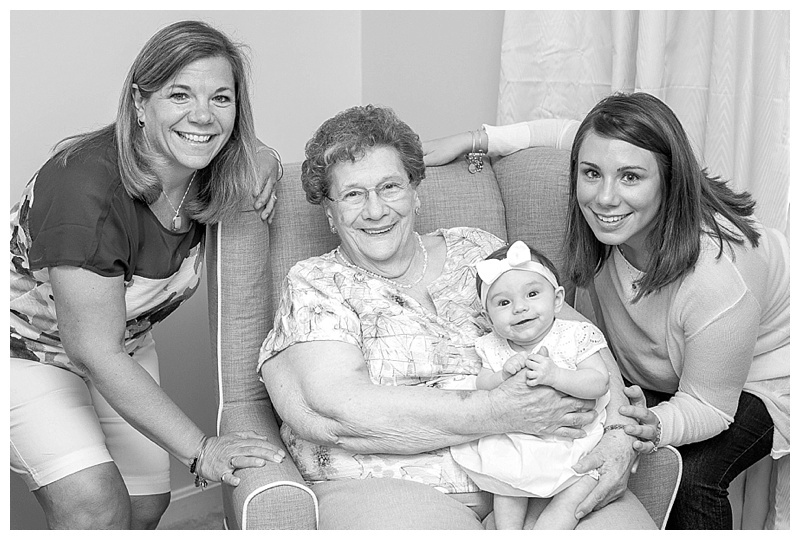 During the session we captured a photo of all four generations of women, it was so sweet to see them all together overcome with happiness! 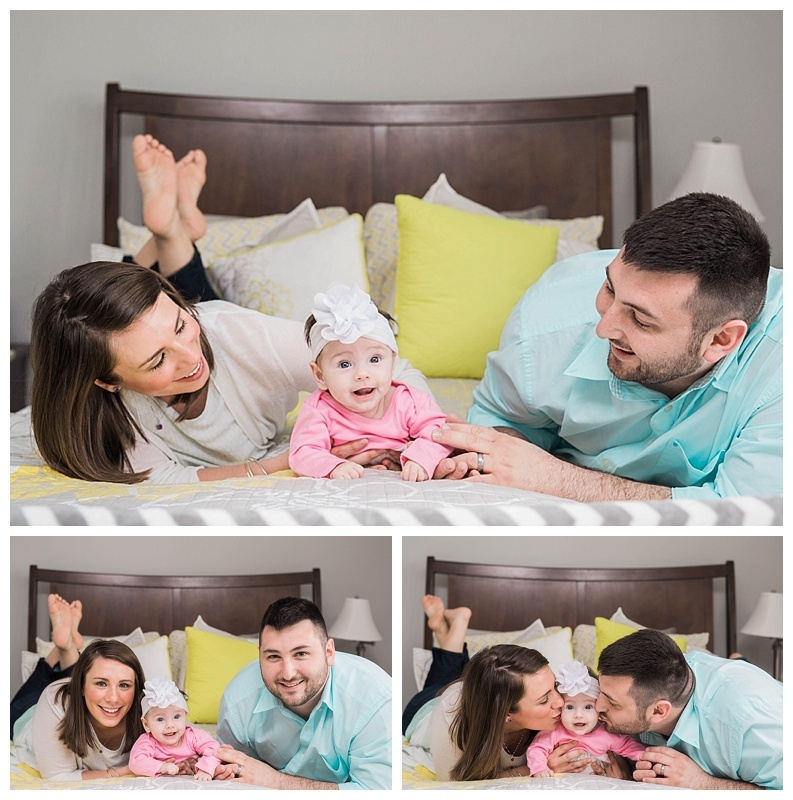 I absolutely can not get enough of all the love that you can feel pouring out of all of these images, I loved having the opportunity to photography this happy little family! I can’t wait to see more of little Charlotte as she grows! Congratulations on your precious daughter Amanda and Derek! Enjoy watching her grow each and every day! What a beautiful, smiley baby! Lovely photos, Valerie!